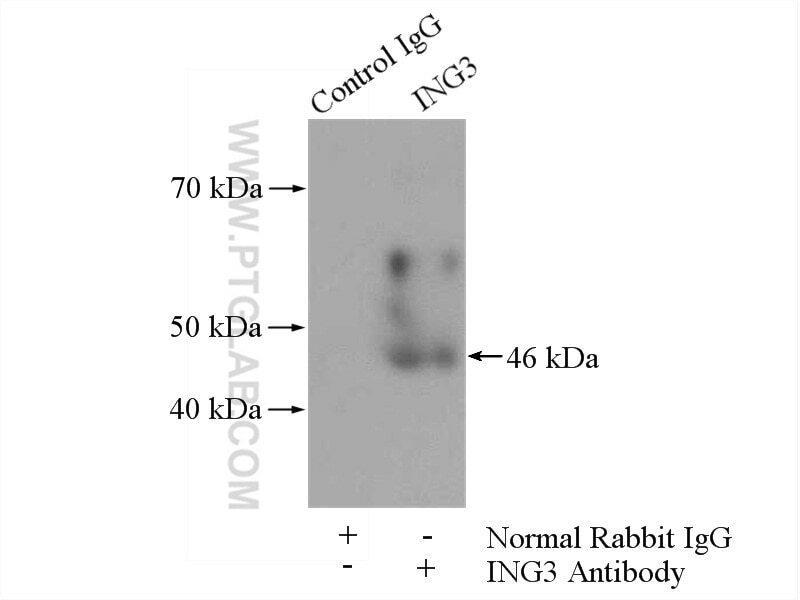 IP Result of anti-ING3-specific (IP:16187-1-AP, 4ug; Detection:16187-1-AP 1:500) with mouse kidney tissue lysate 4000ug. Members of inhibitor of growth (ING) family function in inhibiting cell growth and inducing apoptosis. They are sequence homologous proteins. ING3 can activate p53 trans-activated promoters, including promoters of p21/waf1 and bax. This antibody is specifically against p47ING3.